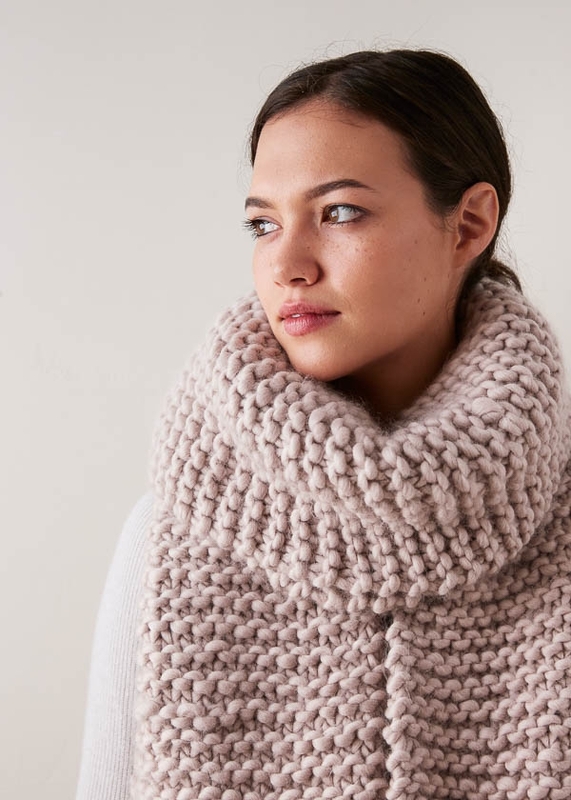 Our Giant Garter Scarf is a great big deal that’s no big deal to knit up. It is high-impact, high-volume, high-drama, and high-reward… as both a presence and a present! 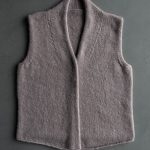 Consider its supersize comfort and coziness a secret-weapon for the season: Who doesn’t want a warm, fuzzy force field to take on chilly walks, unpleasant commutes, and complicated relatives? 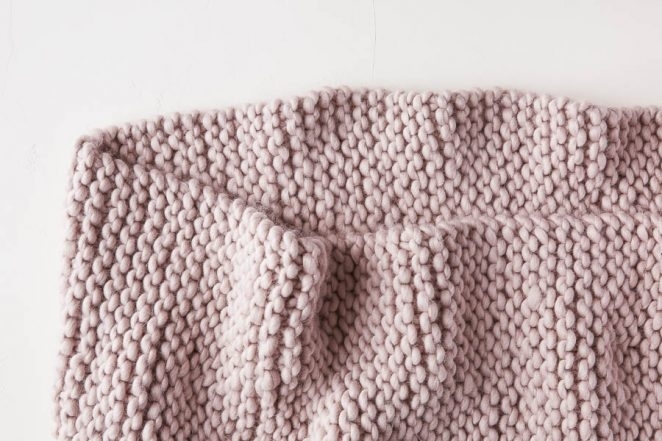 Simple garter stitch (just knit, knit, knit) in our jumbo Gentle Giant on US 19 needles hits all the right extremes in speed and satisfaction. 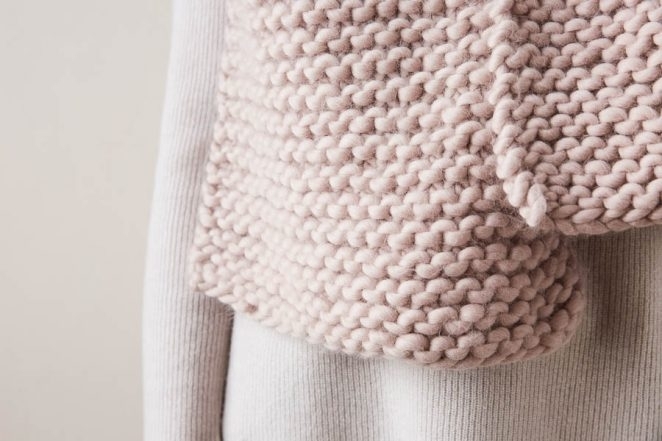 Even very beginner knitters are equipped to appreciate the simplicity of this feat! You’ll need eight skeins of our incredibly soft single-ply Gentle Giant. 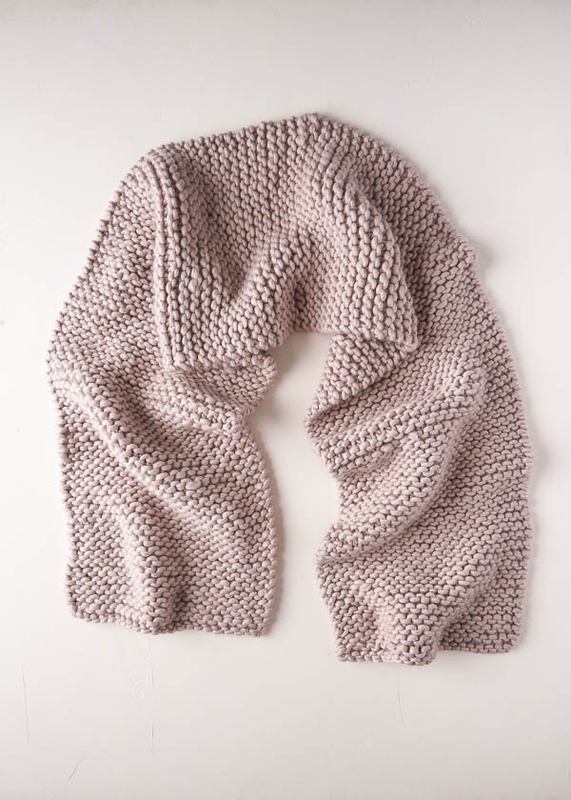 Here we used the color Silver Mauve, pairing its subtle elegance with the scarf’s big personality. But any of our 21 colors will make a statement: Super Yellow or Super Pink for super impact, Graphite Gray for oversize-but-understated chic, Sugar Maple for a toasty scarf that suggests logs, leaves, and lounging. This is a wrap that wraps up your year, and your special gift list, in grand finale style! 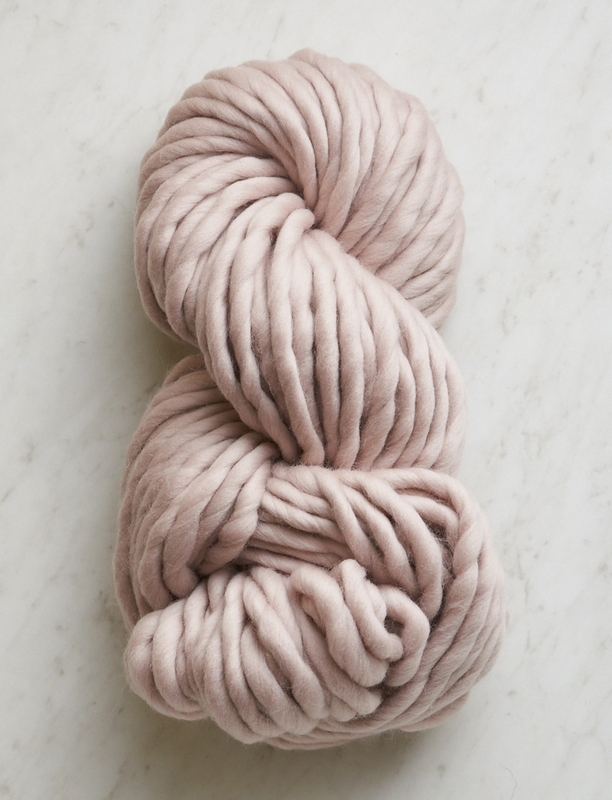 8 skeins of Purl Soho’s Gentle Giant, 100% merino wool. We used Silver Mauve. Finished Dimensions: 14 inches wide x 73 inches long. Slip all slipped stitches knitwise with yarn in back. Row 1: Slip 1 knitwise with yarn in back, knit to end of row. Repeat Row 1 until piece measures 73 inches from cast-on edge. LOVE your kits and project ideas. My mother-in-law is allergic to wool. 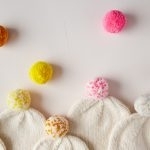 Please consider offering some non-wool alternatives when you post project ideas! Thanks so much for the kind words! We are always happy to suggest wool free alternatives! In this case, I would suggest using Blue Sky Worsted Cotton held double – it will still be a bit thinner than our Gentle Giant, so you will probably want to knit a gauge swatch on US 15 or 17 needles to see what size needle works best. You can then measure your stitches per inch and multiply that by 14 to figure out your cast on number. Another option would be to double Jade Sapphire 12-Ply Cashmere or Genghis for the ultimate luxury wool-free scarf! Great question! 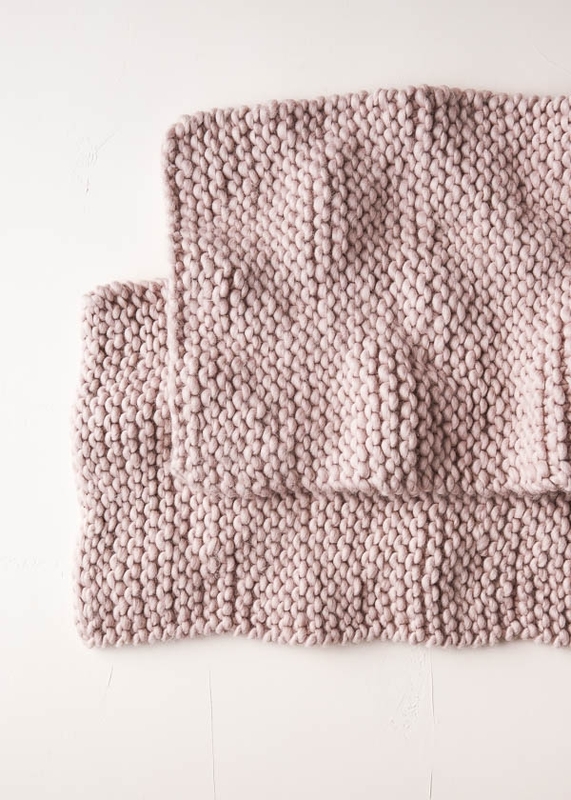 Our Homestretch Hat and Two Color Homestretch Hat are knit out of Gentle Giant, and would look great with the Giant Garter Scarf! Love your suggestions for a grey pallet? Thanks for writing in! 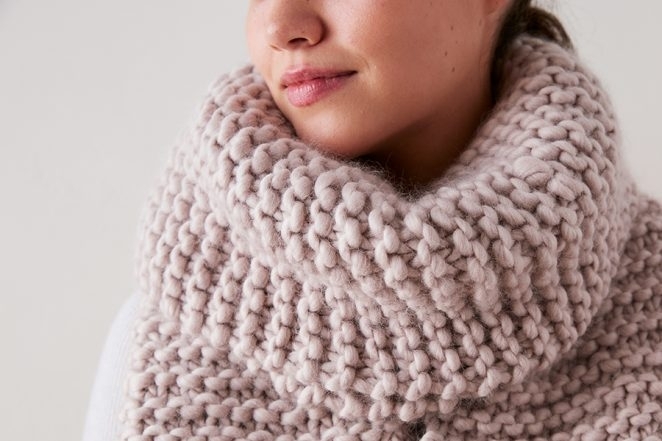 This scarf would be lovely in Pigeon Gray! I would like to knit this scarf for a 9 year old girl. 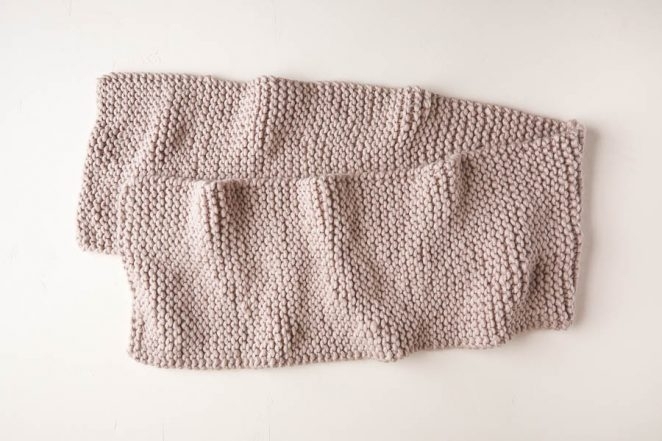 Could you provide recommendations for modifying the pattern for a child-size scarf? Great question! For a kid’s scarf, I would probably make the width about 10 to ll inches, which would be around 13 to 17 stitches. A good rule of thumb for the length regardless of the wearer’s age is to knit the scarf until the length is about equal to or a little longer than their height, which for a nine year old is probably around 48 to 54 inches. How much yarn would it take to make a kid scarf? Thanks for reaching out! It will take about five skeins to knit a child sized scarf. Love your colors and scarves. Hi, I just ordered 10 skeins of Gentle Giant to have a project I can complete in an instant. I want to make it a bit wider. Please remind me how to calculate how much widerI could make it with 2 extra skeins. Thanks for your simple, beautiful projects during this hectic season! Thank you so much for the kind words and for writing in! Since you will have about 25% more yarn, you should be able to cast on 25% more stitches, which would be 30 stitches total. 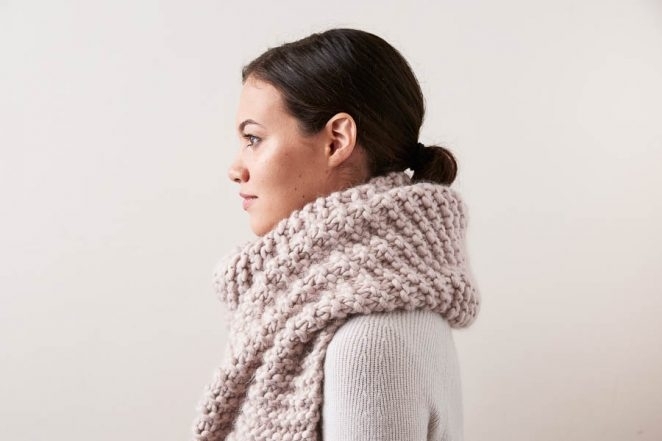 I always love the simplicity of garter stitch and this yarn looks like it would be fun to try. I think I would prefer this as a cowl. What length would you suggest and how many skeins of yarn would it take? Thanks for writing in! 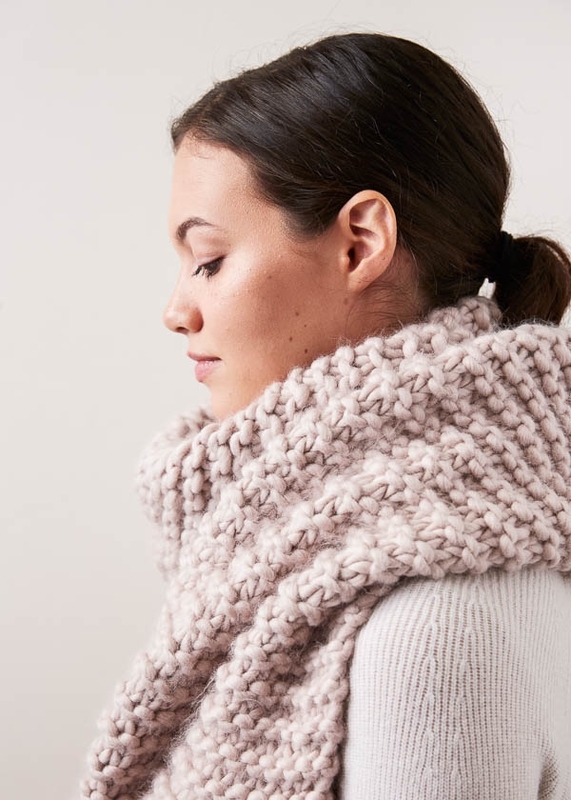 For a cowl, since the yarn is so bulky, it will still take quite a bit of length to wrap comfortably around the neck. I would probably shorten this to either about 60 inches for a double wrapped cowl or 30 inches for a cowl meant to be worn without doubling it. It will take about 7 skeins for a longer cowl or 4 for a shorter one. I hope that helps, and please do let us know how it turns out! 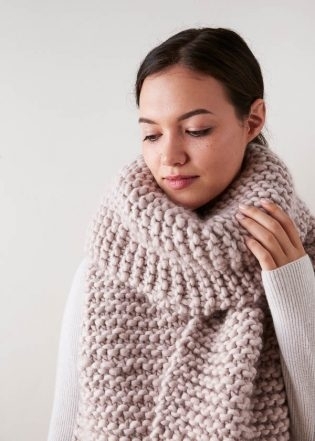 Would it be possible to make this gorgeous scarf out of Lanecardate Feltro? If so, what needle size would you recommend and how many skeins would I need? Great question! You can certainly make this scarf using Feltro! I think that 5 skeins should do the trick on a US 15 needle. You will want to knit a gauge swatch to determine your cast on. Once you know how many stitches per inch you are getting, you will multiply it by 14 inches and cast on that number! I love this but am having trouble when I start a new ball of yarn. Could you please suggest the best way? I ready to knot and weave the ends along the sides. Thanks for reaching out! Since Gentle Giant is so bulky, we recommend joining your ends with a Wet Splice – not only does it cut down on bulk, you won’t have to weave in any ends besides your cast on and cast off tails when you are done! Love this scarf. It makes a beautiful gift. It would be great if these patterns were made more printer friendly. Thanks for reaching out! You might like the options that are available in our printing feature! If you’re on a desktop version of the site, you will find a “print” icon in the right column just below the date and tags. If you’re on a mobile version of the site, you will find a “print” icon below the pattern and above the comments. Hi Julianna- I only wanted to comment on how great, helpful, and kindly worded your replies are! I love reading through people’s questions and your responses, and am impressed to find such reliably answered (and considerate) responses. Bravo Purl Soho! Have a wonderful day, and happy knitting! Just discovered your site and am excited to get back into knitting. 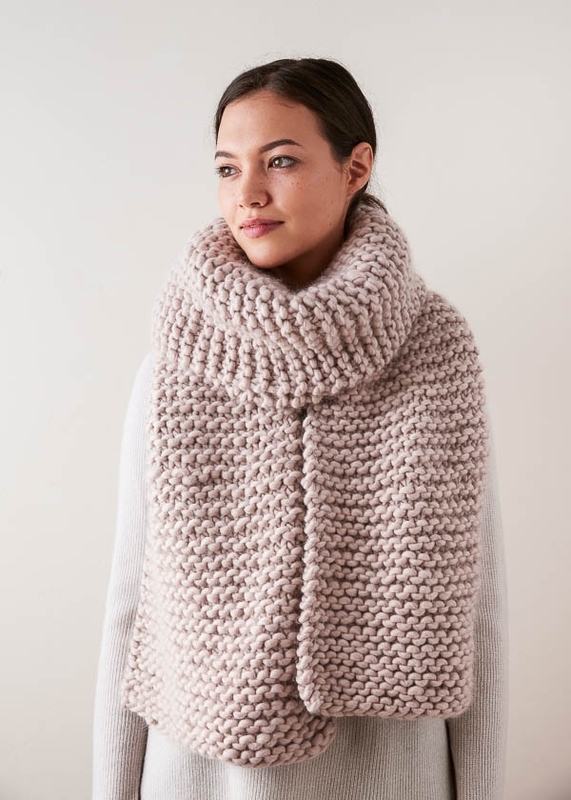 I would like to make this scarf for a 5’1″ friend (61″). Should I make it around 61 inches or little longer? And how many skeins would it take? Thanks for reaching out! About 61 inches does sound like a good length for a person of that height, and it will take 7 skeins of yarn.